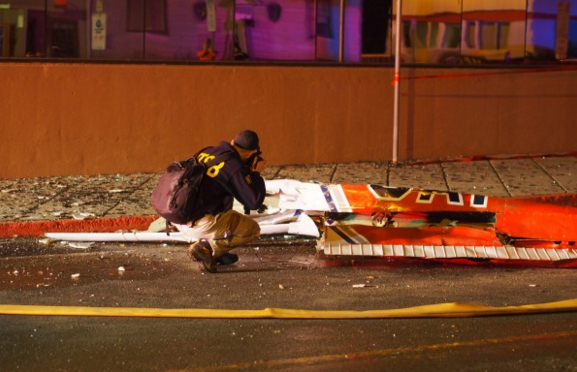 After a small Cessna 172S plane, N914CP crashed into a downtown Anchorage building last week, much of the coverage mentioned an organization called the Civil Air Patrol — or CAP. It’s a federal organization which owns dozens of planes scattered across Alaska, including the one pilot Doug Demarest flew into the building where his wife works. CAP occupies a strange space between the worlds of civilian and military aviation, one that relies primarily on self-monitoring. The organization is a civilian counterpart to the Air Force, and it started around World War II as a way to make use of the country’s large domestic air fleet. Small planes monitored borders and patrolled the coasts for submarines. Since then, CAP has morphed into a federal program made up of about 56,270 civilian volunteers across the U.S., helping with search and rescues, flying supplies to emergency responders, and even transporting vital organs. “Basically, we’re all about saving lives,” said Captain Bryan Emerson, spokesperson for the Alaska Wing of CAP, which is made up of more than 754 volunteers–only a quarter of whom are actually pilots. Many are former military or emergency responders, although motives for joining vary widely. The Alaska Wing program is designed around helping with Search and Rescue efforts–CAP’s 28 planes are stored at 14 sites across the state, from Bethel to Sitka. If the organization is pinged by the Rescue Coordination Center in Alaska, a team of volunteers activates to search for a missing person or a downed aircraft. CAP pilots have a good track record when it comes to safety, according to Emerson, in a state where an average of 22 people die each year in plane crashes. Emerson couldn’t comment on the specifics of the recent crash in downtown Anchorage. 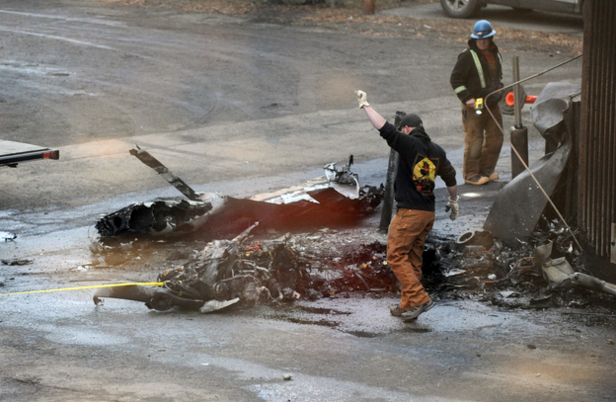 A spokesperson for the CAP national headquarters in Alabama, Julie DeBardelaben, said that in her 10 years with the organization doesn’t recall any incident similar to this one, in which a pilot intentionally crashed during an unauthorized flight. Pilots are required to file a flight plan ahead of take off, which Demarest did not do, according to CAP officials. Since CAP aircraft are federal property, and because the Cessna 172 struck a building, the Federal Bureau of Investigation was brought in to assist the National Transportation Safety Board with the investigation — standard protocol under Title 18 of the U.S. Code, which covers criminal procedures. The majority CAP’s Alaska fleet, including the plane piloted by Demarest, is stationed at Merrill Field in the center of Anchorage. The field is designed to accommodate the general public, according to manager Paul Bowers, and entry is controlled by punch-code or key-card. After that, security is the purview of property owners. “So each of the tenants are responsible for controlling access their respective operating sites,” Bowers said. Bowers didn’t want to give specifics on how frequently guards patrol Merrill Field, citing security concerns. The flight tower was unmanned during the early-morning hour Demarest is believed to have taken the plane, as it always is before 7 am. The national protocol in such cases is for pilots to announce themselves over the Common Traffic Advisory Frequency on a voluntary basis. Much of the culture around small planes operates through a system of trust. One of the sources contacted for this story who declined to be interviewed on tape described it as “a weird fraternity,” one with a commitment to safety, and a presumption of good intentions. Merrill Field, the source added, is vastly safer than most of the places in Alaska where small planes are stored.